KEVIN L. SHEPHERD has spent his entire 33-year legal career practicing at Venable LLP. As a senior partner in the firm’s office in downtown Baltimore, the Wichita native focuses primarily on commercial real estate, particularly acquisitions, dispositions, leasing, and financing. 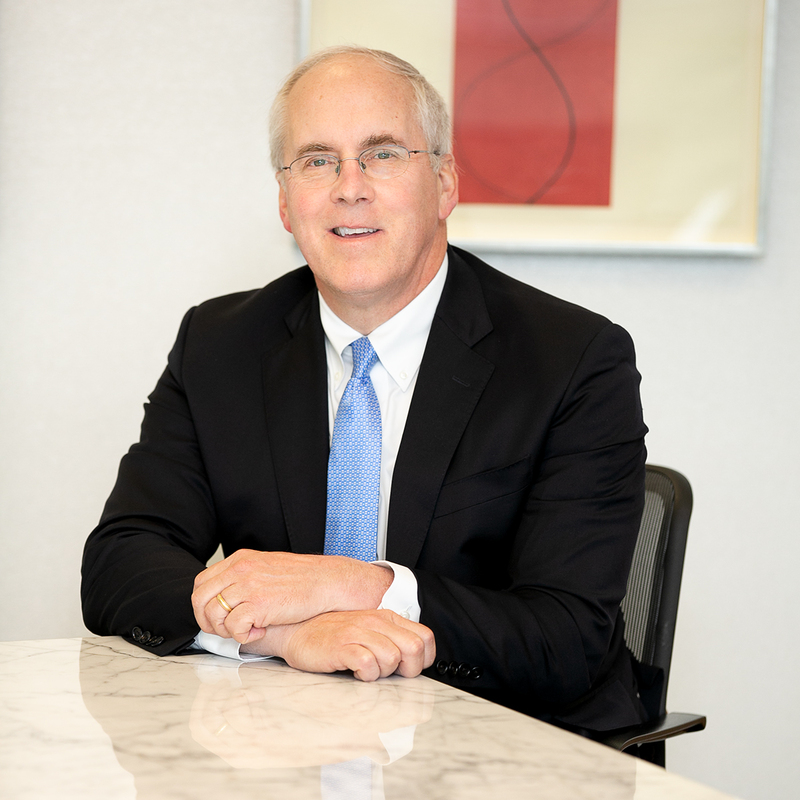 Mr. Shepherd sat down with the Maryland Bar Journal to discuss “career fuel,” deal velocity, and recognizing the smartest people at the table. MSBA: Please share your professional journey. KS: I came to the East Coast back in the late 1960s. My dad was with Boeing, and he was transferred from Wichita to Washington for the Apollo space project. After undergraduate school, I was working with the United States Surgeon General’s Office, pursuing a Ph.D. in policy analysis. I was working with an attorney in the Surgeon General’s Office. I was intrigued by my work with him, and that got me into law school to pursue a law degree. I wanted to be a transactional lawyer. I had a real interest in real estate, because it’s a tangible thing. And Venable had a superb reputation in that field, so I thought it would be a good fit. MSBA: Did your early career bring any surprises? KS: When I first came to Venable after law school, I was assigned to the senior real estate partner. I said, “Well, there goes my career – I’ll probably last a week or two.” But working with Ronnie Reno was probably the most fortuitous relationship I had as a young attorney. Ronnie was a walking encyclopedia of real estate law. He was the dean of the Maryland real estate bar, and extraordinarily patient in dealing with someone like me who didn’t know anything about real estate law. [I also worked with] Jim Wright, who became the chair of our real estate practice group after Ronnie. MSBA: How has the practice of law changed over the course of your career? KS: What we didn’t have in my earlier career was the deal velocity [of today], meaning that you could send something in the mail, wait a few days, and just sort of relax until then. But now it’s so immediate, and you’re basically on call 24/7. That’s created increased pressure. I’ve also see increasing pressures in the commercial real estate industry [borne of] clients chasing the same deal. It’s very competitive. It compresses the time period to conclude a deal – just how fast deals need to get done. Also, there’s so much money chasing assets these days. It’s a very competitive market. It demands a lot, and puts a lot of pressure on all of the stakeholders in a transaction to execute it quickly, efficiently, and cost-effectively. MSBA: How did you first become involved with the bar association, and how has it enhanced your practice? KS: I got involved with the Maryland state Bar Association through the Real Property Section. They hold monthly luncheons – basically any real estate lawyer can come if they’re a member of the MSBA. It is so good to meet your fellow practitioners in an informal setting. The camaraderie, the ability to mingle and talk once a month with your fellow practitioners at the State Bar level is very enriching. We need more of that these days, and I’m glad the State Bar facilitates and promotes it. I’ve been active in speaking at MSBA events over the years. I think that’s part of the give-back obligation lawyers have, and it has been very satisfying. It’s been a very good organization to belong to. MSBA: What words Words of advice would you offer to young or up-and-coming attorneys? KS: Be engaged in the profession. Be out there. I heard someone refer to building your network when you’re young as “career fuel,” and you want to get as much fuel as you can to make these connections, build your own network, so it can sustain you during your entire career. You can’t just flip a switch and have it happen automatically. You need to stay at it. So I think it’s incumbent on younger lawyers to do that early in their careers, so it becomes a natural thing. It’s not that time-consuming, and it will pay rich dividends down the road. I think it’s also important that you have other interests, [beyond] the practice of law, otherwise you pretty much have a one-dimensional practice. The bar association provides one outlet; [it] helps you get through the day, the week, the month, having that outlet to chat with your colleagues. It’s a powerful opportunity that will augment your professional life. Otherwise, you pretty much have a one-dimensional professional practice. I think if you have the bar association as a counter to that, as a supplement to it, it sort of helps you get through the day, the week, the month, to have that outlet, to chat with your colleagues. I think that’s a powerful opportunity that’s out there. A lot of people don’t take advantage, but there are different ways that you can manage your practice, and I think it’s helpful to have this to augment your professional life. I’ve met a lot of people during bar association activities, and that has enriched my practice. I refer things to them, and they refer things to me. It’s a symbiotic relationship. MSBA: Where is the legal profession now, and where do you see it going?What are your thoughts on the legal profession – where it is, and where it is going? KS: I am optimistic about the legal profession. There are a lot of challenges – time challenges, clients are bringing in a lot more work in house, so that puts a lot more pressure on lawyers to be doing things more efficiently, more effectively for clients. But I think it remains a noble, great profession, and we have to continue to improve it by giving back to the profession, teaching younger lawyers, promoting CLE, developing activities that are more useful to younger lawyers. They’re more technology-driven, so to the extent we can promote those types of activities and respond to the needs of the younger lawyers I think will help everyone. We need to have a strong, active bar association, and by engaging with younger members we can make sure we continue down that path. MSBA: Would you care to share any additional thoughts? KS: The practice of law is demanding. You have a lot of competing tugs and pulls on you, personally and professionally. But you need to stay at it, and I think it’s also important that you have other interests, not just purely the practice of law. The bar association provides one outlet. Otherwise, you pretty much have a one-dimensional professional practice. I think if you have the bar association as a counter to that, as a supplement to it, it sort of helps you get through the day, the week, the month, to have that outlet, to chat with your colleagues. I think that’s a powerful opportunity that’s out there. A lot of people don’t take advantage, but there are different ways that you can manage your practice, and I think it’s helpful to have this to augment your professional life.